Torque only shows what the car tells it. There is no memory at all. However if the car has not been used for months the BMS in the car may well be inaccurate. It will adjust back to normal as you drive it. still no way to know the SOH of our 2018 soul ? The 2018 Soul EV data measures the loss from the usable capacity. As far as I know nobody has lost the 10% buffer above that usable capacity. 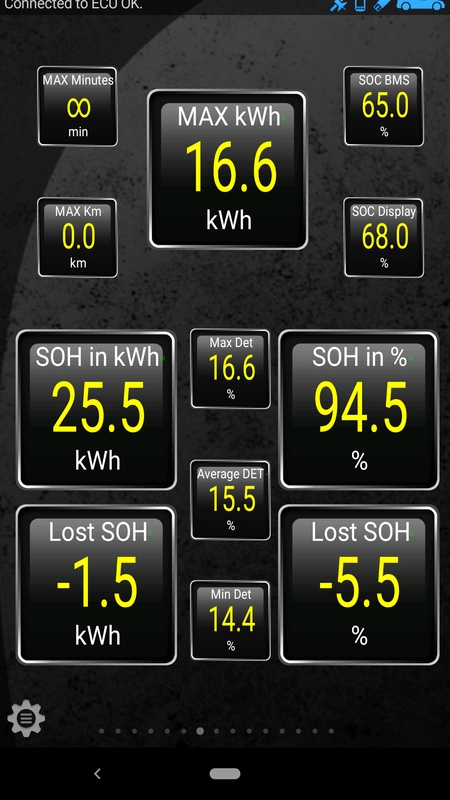 Hence everyone is seeing 0 for the deterioration numbers or 100% SOH. We now have confirmation that the internal workings for the Hyundai K ona Electric and the Kia N iro EV are the same. I am confident that both the upcoming new 64kWh Soul EV and the 39kWh I oniq Electric will have the same system. Also of interest user ayokyun is running a Torque Web Server to collect test data from a few users who are running Torque on their Hyundai K ona Electric and their Kia N iro EVs. teirhy wrote: still no way to know the SOH of our 2018 soul ? It has done 27,119km. It still has the deterioration counters at zero. We assume this means the SOH is still at 100%. The individual cell voltage when fully charged is still 4,1V. The same as new. It's winter in Norway so I cannot compare against the summer range. Last week I went to pick my new ride; that's it, I'm in the familly now, with an October 2016 and a bit over 16573km here in Belgium. I would like to share some screenshots from my car in 2 different moments; before I buy it and 3 days after I pick it up. Should this forum be the appropriate place? In the day I first went to have a look on the car, I had the time to be alone in the car with my OBDLink MX dongle and my phone with Torque Pro already configured from home This is then. First thing I noticed is the fact the degradation is gone from an average of 3 to an average of 0. Then I noticed the OP Time came from 2235 to 20 hours. Does this mean they made a reset on the BMS? Was this done to hide something? Do you guys see something cheesy from this screenshots? Is there a place where I can find an explanation for each of the PIDs? Yes. The BMS has been reset. But in this case there is no malicious intent. It is a side effect of adding all the available ECU upgrades. The BMS will adjust back to reality in a day or two. 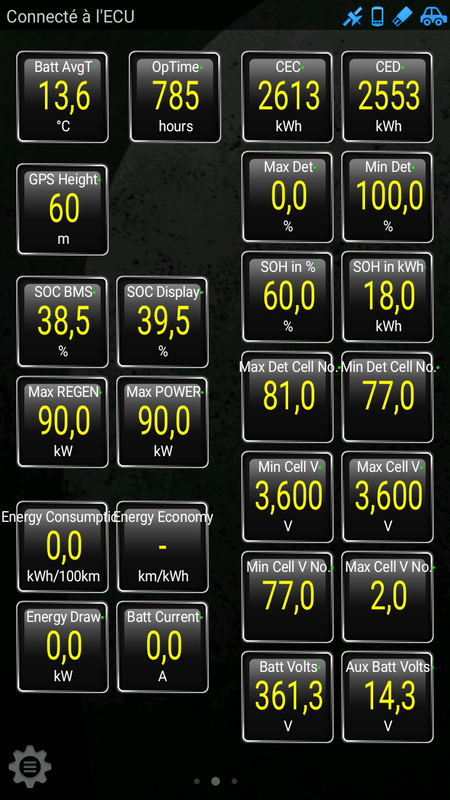 Your HV battery is doing fine. SOH = 107%. Yes. Your 12V battery looks like it is nearly dead. I would leave the lights on overnight, jump start it in the morning, drive to Kia, and have them check it. It should be replaced under warranty. Thank you for your input Jejusoul, I really appreciate it. Is there a way I can contribute with data from my car for some project I have missed? Oinq wrote: ...Is there a way I can contribute with data from my car ...? I take data every 250km, some do it once a month, and some every time the values change. It doesn't really matter if you have a few years of data the trendlines will be accurate. 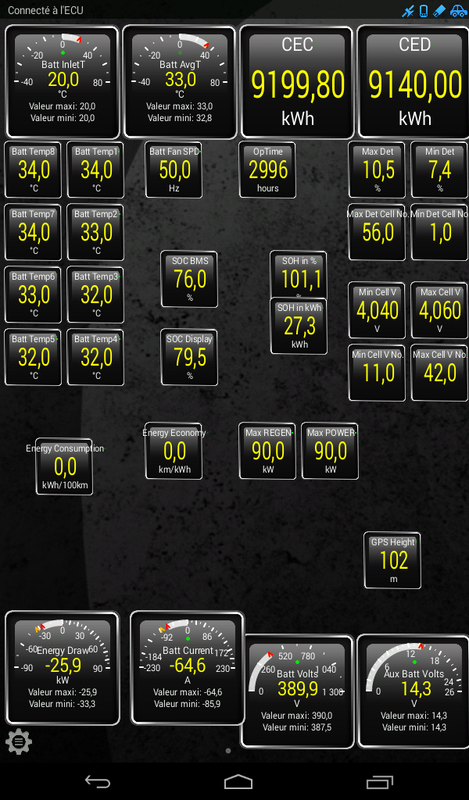 We have about 20 cars with 3 years of data, none of these cars is showing high deterioration loss.